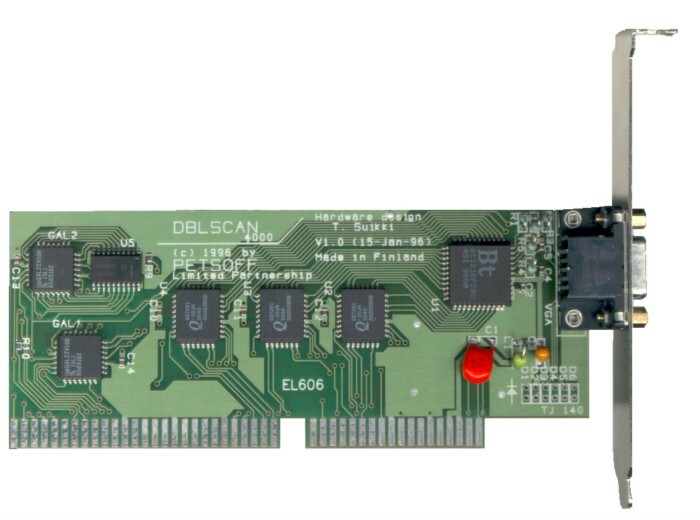 The DblScan 4000 is a scandoubler designed for the Amiga 4000. It connects to the video connector and takes the Amigas signal, and scandoubles it for output to a standard SVGA monitor by a 15pin VGA Connector. This card is fully 24bit which means it handles all of the AGA screenmodes correctly.